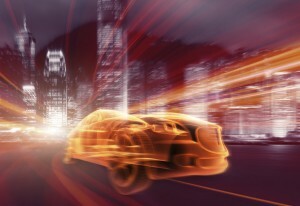 A revolution is occurring under the hoods of vehicles today, as the automotive industry continues to add sophistication via electronics to vehicles at a pace never seen before. But because of the automotive ecosystem’s tiered structure, system companies, IP and embedded software developers and tools vendors must invest more just to participate. Robert Bates, chief safety officer in Mentor Graphics’ Embedded Systems Division, said there are many changes underway in the automotive industry today that appear to be headed in two orthogonal directions. Layered across these shifts are changes in the ecosystem itself. For EDA tools providers, this opens up opportunities in verification and software bring up, albeit with a new set of concerns. “Especially for the more complex chips, functional safety is bringing a whole new level of verification requirements. Similarly, on the IP side, it’s putting much more rigor in terms of getting our IP qualified with ASIL to be ready for ASIL compliance,” Stellfox said. In fact, verification is one of the big beneficiaries of automotive reliability concerns. Ansys already has 60 automotive customers for its chip-package-system simulation technology. The driver, according to Vic Kulkarni, Ansys vice president and general manager, is a concern about physical effects such as heat and EMI interference. Complying with safety standards as well as the ISO standards is not optional. In addition, looking at where the car is driving, what is happening in the surroundings in terms of road conditions, and feeding that information back, requires antennas to be in perfect shape for that communication. IP providers have their own set of stringent regulations, particularly around defect densities and extended temperature ranges. That requires silicon, which is expensive, as well as some strong partnerships. In addition, he said that sales and support cycles for automotive customers are very different compared to commercial customers. Kilopass normally tests for 10 years of data retention, but for a lot of automotive customers 20 years is required. That doubles the test time. All of these extras come at a price. “Even if there are companies which have done IC development for automotive for a long time, the formalism of ISO 26262 imposes easily a 30% increase in effort,” said Joerg Grosse, product manager for functional safety at OneSpin Solutions. As if that increase in effort isn’t staggering enough, Bates pointed out that the 30% increase is on the hardware side, but the increase on the software side is at least as high because a lot of the formalism that really wasn’t in the software development process is required now with ISO 26262. Today, that formalism is rather complex. How will these processes evolve as vehicles include ever more sophisticated algorithms with the eventual goal of autonomous driving? It may be that the standards keep us all safer on the roads, but suppliers will take some time to get up to speed and incorporate them into their design and verification processes. Pressure is mounting to reduce test costs, while automotive is demanding more ability for circuits to test themselves. Could this unsettle existing design for test solutions? When self-driving cars actually reach the market is still not clear, but the automotive ecosystem is preparing for huge changes. What can go wrong in designing to this automotive standard.